The Oilholic has temporarily swapped London for the quaint charms of Mexico City in order to get a perspective on the current oil market melee and its impact on sector investment here. On the face of it, there’s no panic in policymakers’ ranks and commentators of all description agree that as a major oil producer Mexico could well do without an oil price decline. President Enrique Peña Nieto’s bid to boost economic activity via oil and gas sector reform legislation announced last year remains on track. It has taken 76-years for Mexico to get where it did last year and people are in a buoyant mood. In fact, Peña Nieto surprised global markets and Mexicans in equal measure by biffing through his pre-election promise of sector reform in a short space of 18 months. In précis, via the said reform package, Sener (Ministry of Energy) gave state-owned Petroleos Mexicanos (or Pemex) 83% of Mexico’s proven and probable hydrocarbon reserves and 21% of the prospective resources. However, new private sector participants, while expected to explore the remaining 17%, would have access to 79% of prospective reserves in the next round. Many prospects are promising according to seismic data and market evidence. The move carries massive changes for Pemex, something which the Oilholic will discuss in greater detail shortly. On paper, we’re still in nascent stages of what the government says it is trying to achieve. So does the current volatility constitute a proverbial spanner in the work? No, say most commentators yours truly has spoken to since arrival. Benjamín Torres-Barrón, Baker & McKenzie's Energy, Mining & Infrastructure Practice Group leader in Mexico, whom the Oilholic first met at the 20th World Petroleum Congress in Doha back in 2011, says the oil and gas sector is better placed than it has ever been in recent years. “Timing of the oil price decline could be described as unfortunate. You could say that we’ve waited 76-years for change and when that change arrives, this happens. However, my argument is that there is never a good or bad time for legislative reform; it’s about seizing opportunities. Imagine if we were stuck in the same place as we were in 2011 [with the Felipe Calderón administration promising much with little to show for it] and the oil price nosedived as it has; you would have found the domestic market in a terrible state. Declining production and archaic legislation would have been a double blow. "Right now Mexico is sending a positive message albeit in a tough climate. A drive has been set in motion and the dampening effect of oil market volatility on the capacity for reform would be negligible," he adds. 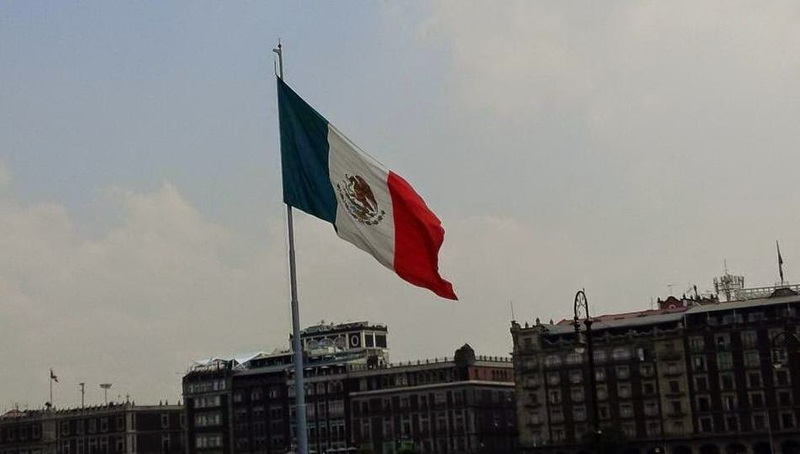 Torres-Barrón’s colleague Carlos Linares-Garcia, the international law firm’s Principal Economist attached to its Latin America Transfer Pricing practice, underscores why Mexico must carry on regardless. The subsequent decline made Pemex a familiar figure of farce as far as bloated state entities go and criticism followed in editorials ranging from local media to The Economist. “There is a determination to shake off that image. In my direct interactions with Pemex since August, I’ve noticed a clear recognition of the challenges and a desire for change. Pemex wants things to change, as much as people in legislative circles and the wider public,” Linares Garcia adds. In fact, most energy sector reforms in any jurisdiction (e.g. shale exploration framework amendments in various EU markets), is accompanied by protests and rabble-rousing. Just ask the Brits. Yet, in Mexico, bar the odd noise made by labour unions, the Oilholic feels the general public has largely embraced sector reforms potentially moving Pemex away from state protectionism that has plagued it for years. Right now Mexicans have a lot of things to protest about including socio-political mishaps, but oil and gas sector reform isn't one of them. Furthermore, the reform agenda extends beyond Pemex, something which external commentators often forget to take into account, says Ingrid Castillo, Head of Research at Grupo Bursátil Mexicano (GBM). An unbundled, improved pipeline infrastructure seen in the US also remains a pipedream according to GBM, Baker & McKenzie and commentators from the big four global advisory firms. “The good thing is we’re finally talking about it more seriously than we used to. The chatter has not cooled off despite turmoil in the oil markets,” says a senior financial adviser. While the price decline is not an immediate concern this year, subsequent years could prove challenging if bearish sentiments get entrenched. For the current fiscal year, the Peña Nieto administration has already hedged via seven global financial institutions. The price of oil negotiated was $76.4 barrel, which implied a cost of $773 million in line with previous years. So 2015 would see the government largely protected for the spread between its budgeted price of $79 per barrel and currently chaotic spot markets. “Yet, in 2016 and 2017, it could be a very different story. Concerns over volatility could be more pronounced then, which could have implications for capital expenditure on infrastructure much more than it is currently having,” Sandoval adds. But Mexico is undoubtedly in a much better shape than before. “We’re in the middle of intense economic pressure in Greece and talks of a Venezuelan default. Not that long ago, Mexico would be in that club. That the country is not, suggests things while not perfect, are certainly on the right track,” says Linares-Garcia. The sector remains on the cusp of something important. Market reforms could add as much as 1%-1.5% to headline economic growth by 2018. An increase in gas production could boost the nation’s industrial production and grandiose forecasts of Mexico achieving 6% growth are around should you want to believe them. “But you shouldn’t; for in Mexico we have had many false dawns. If we exceed 3% in 2015, that would be something to cheer about. Energy sector reform is likely to play a part, but there is no point getting ahead of ourselves,” says Castillo. A return to 2004 oil production levels by 2018 would be more than welcome. For that, welcoming new participants to town seems to be the mantra as oil price fluctuation dominates headlines. 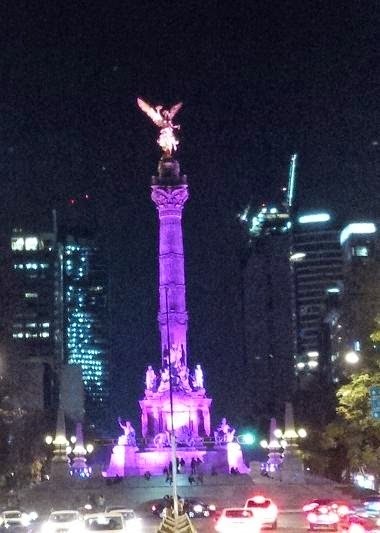 That’s all for the moment folks, as one leaves you with a view of the Monumento a la Independencia (see above right) built in 1910 to commemorate Mexico's war of Independence. It's now a focal point for everything from celebrating a win of the national football team to political protests! The Oilholic spotted a few protests himself but none were of the 'crude' variety. More from Mexico City soon. Keep reading, keep it ‘crude’!